Nepal | What's (in) the Picture? 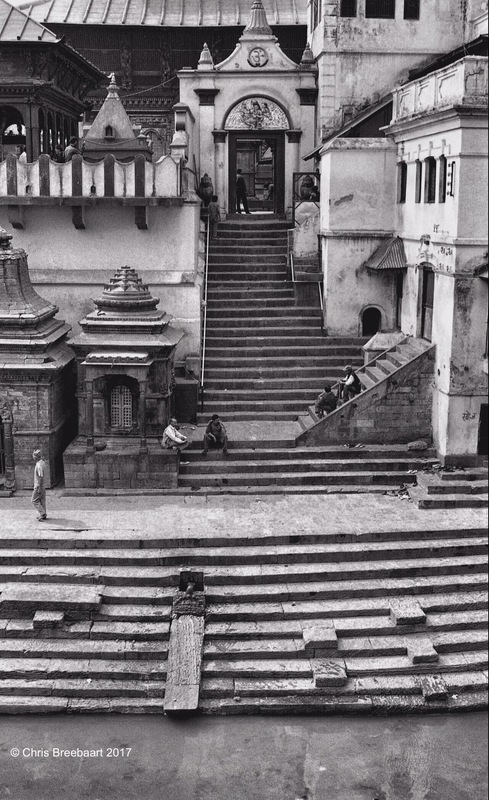 The Shiva Temple in Pashupatinath at Kathmandu in Nepal. The complex is one of UNESCO’s world heritage sites. Another choice of a street scene in Kathmandu. A choice of framing. Which one do you like best? Leanne Cole is an Australian photographer; each week she organizes a ‘monochrome madness’. The Monochrome Madness Challenge started 26 weeks ago. Its aim is to promote or get more familiar with monochrome photography. Which was of course the standard for years in photography. To celebrate the 26th week the challenge is to publish a color picture that looks like a monochrome picture. After publishing a long string of monochrome photos the last weeks on my blog, I can now publish four color photos! One of them is actually in the MM26. They all are taken at Reeuwijk, and show part of the beautiful Reeuwijkse Plassen. They were taken almost straight into the light of the rising sun, making the colors almost disappear. I tweaked them a bit here and there to get a tat bit more grey in. This weekly photo challenge is ‘container’. In this palace at Durbar Square in Kathmandu, Kumari lives. A Kumari is a living goddess. The flags at the Boudhanath stupa in Kathmandu Nepal. Get in get out of the rain. Staying dry or trying that by facing the rain. Sunset in Dhulikel in Nepal. Monkeys in the Pashupatinath temple. They look funny but they are very agressive and excellent pickpockets! Sadhus in the Pashupatinath temple. Sadhus, according to Micheal Palin the world’s most sociable hermits. “These sadhus will do anything for you, including their Roy Wood and Wizzard impersonation”. readers into her world of light and shapes. Each week she organizes a ‘monochrome madness’. This week entry a photo of a cloudy view on the Himalaya in Nagarkot. Unfortunately you can’t see the big mountains. This negative was quite difficult to print in the darkroom. But digital there is so much more flexibility in getting it presentable.